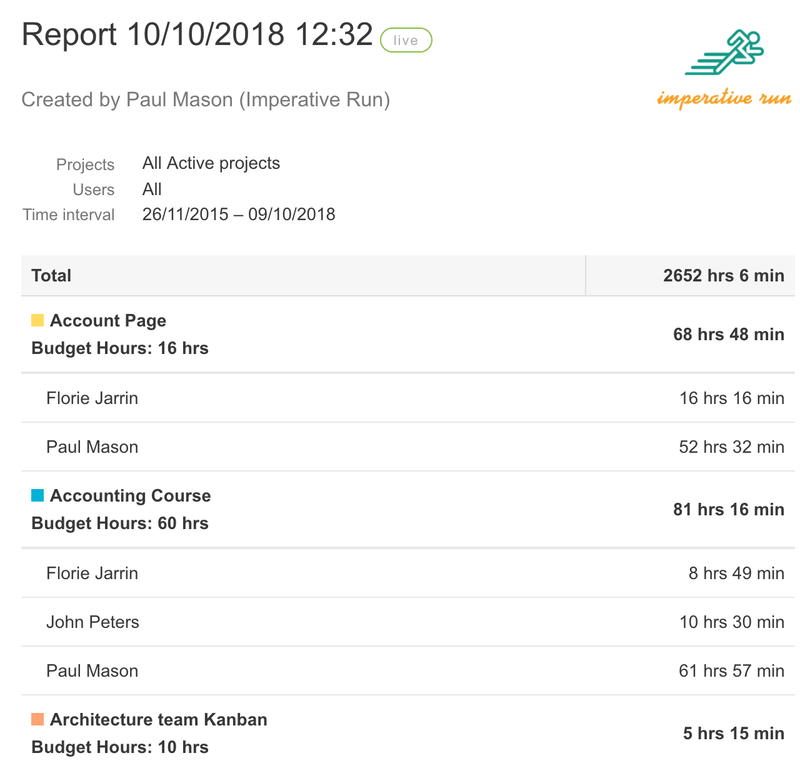 Time reports are based on tracked time, and they offer a detailed look into how you or your team’s time is spent. You can create one by going to Time reports in the sidebar. When creating a report you can set the desired name to easily find it later, the type, what to include and how the data will be grouped. In the Display and group by area you can select what to include in the report and the order they're displayed. 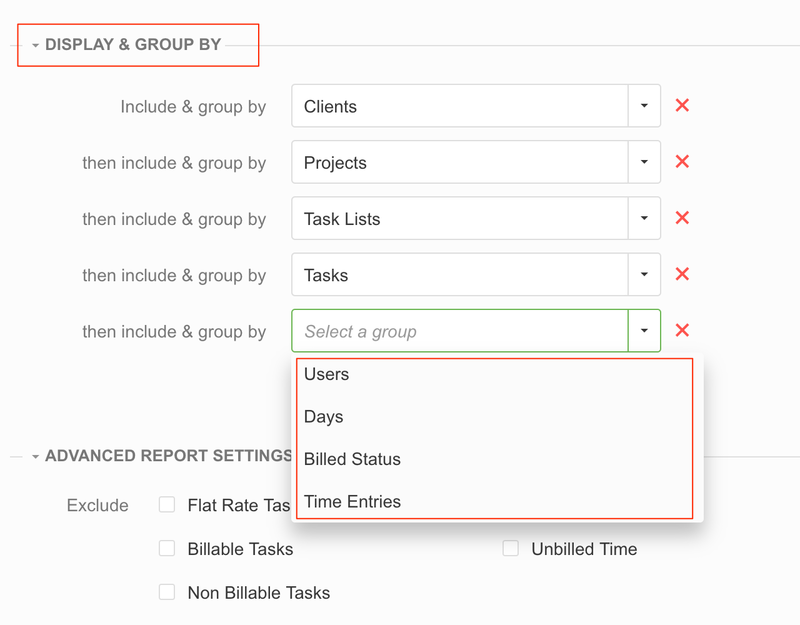 If the first selected item is Time entries, the other options will become unavailable, so if you wish to group by users, days etc, make sure to select time entries after that option.